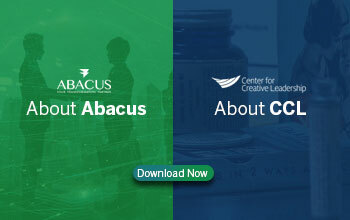 Abacus Consulting – the leading consulting and technology firm proudly announces its exclusive strategic partnership for Pakistan, with the Center for Creative Leadership (CCL), a top-ranking global provider of executive education. The Center for Creative Leadership for almost 50 years has been providing leadership education, research and expertise in solving the leadership challenges of individuals and organizations everywhere. CCL has equipped clients around the world with the skills and insight to achieve more than they thought possible through an array of leadership programs, customized products, digital learning, Coaching, Assessment, Tools and Support with nearly 750 faculty and an associate network of 1,000 members in North America, Europe, The Middle East, Africa and Asia. CCL® has consistently been ranked as one of the top 10 providers of leadership solutions by the Financial Times and Bloomberg. CCL® ranks No. 10 overall in the Financial Times worldwide survey of executive education and is the only institution — from more than 85 in the ranking — that focuses exclusively on leadership development. Our mission at Abacus is to be the transformation partner of choice globally for clients determined to succeed in a rapidly changing world, so that together they create the future of business. 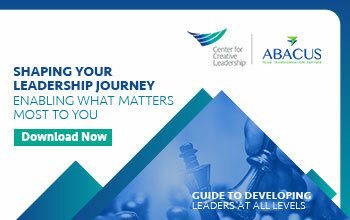 Both Abacus and CCL have the tools and the insights to transform individuals into leaders and with their combined efforts they can transform the organizations, society and ultimately the world.